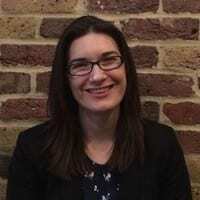 Alys Donnelly has an MPhil in Multidisciplinary Gender Studies and is now Head of Business Process at Xaxis, a media and technology company. Below, Alys tells us about her career journey, and offers tips for those wanting to take a similar route. I currently work for a media company called Xaxis as the Head of Business Process. I make sure that our business is running as efficiently as possible and that we’re working to improve the way we deliver results for clients. Xaxis itself is a media and technology company that runs digital ad campaigns for clients who are looking to drive a certain outcome, such as a sale or download. During my undergrad degree I interned at Google in the Corporate Communications team. I really enjoyed the experience and learned an awful lot, so when I finished my MPhil and decided that I didn’t want to move on to a PhD I decided to apply back to Google and managed to get a job in their Dublin office. There was quite a lot of serendipity in my getting my internship, I responded to a flyer and was in the right place at the right time, but that was how I got my foot back in the door for my first job. I don’t really have a normal day as such, as I’m lucky in that the projects I work on change pretty frequently. However, on the whole an average work day for me usually involves a lot of meetings and talking to people about the work they’re doing and how it affects my teams and the outputs we’re trying to drive. I work very closely with stakeholders from across multiple business units to make sure that everyone’s expectations are managed and that our projects are on track to deliver what we need them to. I also deliver certain elements or entire projects on my own depending on the size, scope, and expertise involved. One of the best bits in my role is that I get to work with some smart people on some pretty cool products. The media/tech businesses I’ve been in have also put a lot of emphasis on work/life balance, more so than I’ve seen my friends experience in other industries, so that’s been a definite plus! All the usual things I suppose! Admin things like a bit too much email sometimes, and all the usual things that go along with working in offices, but there aren’t all that many downsides to a career in media I’ve found so far. Is a PhD essential for your role? Absolutely not! Though that being said, my degrees certainly helped me win my first role, from which the rest of my career has stemmed. So attending a very good university for my BA/MPhil really did set me up for my subsequent career. Also, I think the discipline, intellectual rigour and approach to working with data that I learned during my BA/MPhil were crucial to my being successful in my roles in each business or team I’ve worked in. Media/tech is a very dynamic and fast-paced environment so predicting where you’ll be in a five years time is pretty hard. But that’s also a bonus in that people do move roles, companies, and sectors of the industry quite regularly and that’s not necessarily frowned upon! If you put the work in and know where you want to go, with a bit of luck you should be able to get there or find something relatively close. I’m not sure that’s the case in all other industries. What tips would you give researchers interested in this type of work? I know ‘networking’ can be seen as a bit of a dirty word, but it really does help. Even if it’s just to work out what you don’t want to do. Talking to people about what their job actually entails is invaluable, especially in the media and tech sector where people can use the same words but mean totally different things and the lived reality of a role/business can change very rapidly. Asking around if anyone you know also knows someone who might be open to a coffee can really be useful in giving you a steer in the right direction.